Atlas Honda, the manufacturer of Japanese Honda Motorcycles in Pakistan, launches new and upgraded version of Honda CG-125 named it as Honda CG Dream. 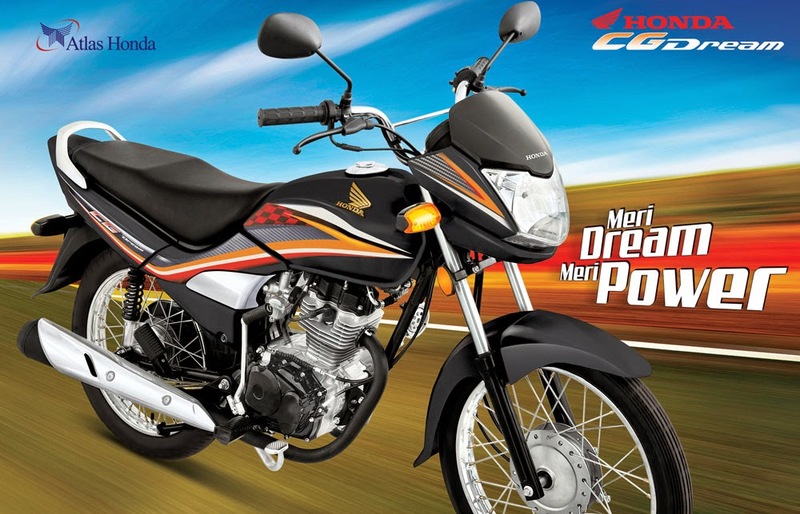 Honda CG dream is successor model of Honda CG-125. CG Dream is a 125-CC motorbike same as existing Honda Deluxe and CG-125 but with some new features and available in two colours Red and Black. You can see the difference between Honda CG-125 Deluxe, Honda CD Dream and Honda CG Dream in pictures below.